When the lymph system is malfunctioning, we see the disease called lymphedema. By definition, lymphedema is an abnormal buildup of protein-rich fluid in the interstitium which usually causes chronic inflammation, swelling, and reactive fibrosis of the affected tissues. 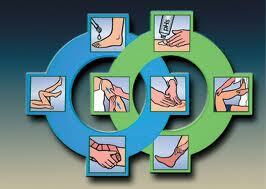 Lymphedema is broken up into two categories: primary and secondary lymphedema. Primary lymphedema is a congenital disease in which symptoms may be present at birth or develop later on in life, such as at puberty or even into adulthood. Secondary lymphedema is a disease acquired via trauma to the lymphatic system. Secondary lymphedema is often seen after cancer treatment. Treatment for cancer usually includes surgery, chemotherapy, and radiation; all of which may impair lymphatic function and may lead to secondary lymphedema. In the United States secondary lymphedema is the most common among breast cancer patients. This is largely due to the damage that occurs to the many lymph nodes in the axillary (underarm) region during treatment. Lymphedema has four stages associated with its progression. Stage 0- Latency: no visible, measurable, or palpable swelling. but there is lymphatic impairment. Stage 2-Spontaneously irreversible: condition is becoming more chronic. Swelling does not always decrease with elevation. As the protein-rich fluid increases in the extremity, fibrotic tissue forms, and dry hard skin beings to develop. Stage 3- Lymphostatic elephantiasis: Swelling increases and is not reversible with just elevation. Connective and scar tissue form, hardening of the dermal tissue occurs, and papillomas being to develop. A diagnosis of lymphedema may create many questions regarding a patient’s course for treatment. 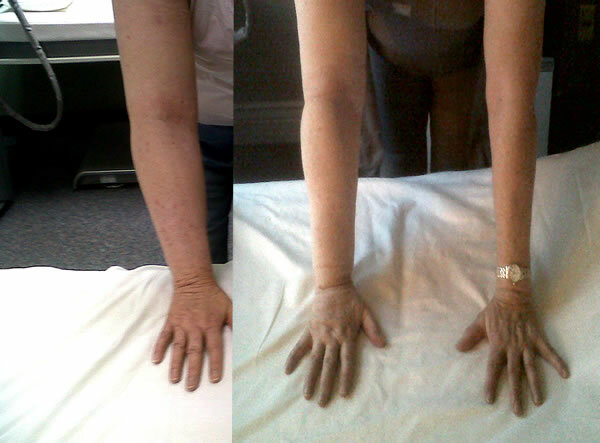 Often, patients may have been given simple exercises or self lymph massage to perform and some general contraindications or cautions to lookout for; however, we can’t stress enough that patients diagnosed with lymphedema should seek out certified lymphatic therapists who perform Complete Decongestive Therapy (CDT). © Copyright 2019 Postural Evolution LLC. All rights reserved.